An active sports career for the athlete or a on the go lifestyle for the everyday warier are the flavors of life. These activities get our hearts pumping, our blood racing- and our spirits soaring. But sometimes these activities lead to injury; these injuries then prevent us from being able to participate in the things we loved to once do. This is why finding the most qualified physicians is so important. At Florida Sports Injury and Orthopedic Institute, you can be at ease and comfortably put yourself in our care. When you become our patient, it's a big deal to us because we understand that you are looking for a doctor and medical service that will live up to your expectations. Developing an injury, regardless if its acute or chronic, puts one in a vulnerable position and the last thing you want to worry about is trying to figure out whether the doctor treating you has the necessary expertise and training to give you the treatment you need and deserve. At Florida Sports Injury and Orthopedic Institute, we will put all your worries to ease. We believe that the doctor-patient relationship is a partnership and we take the time to educate our patients and create a treatment plan together that best suits each individual’s needs. Our end goal is the same as yours which is to get you back in the game of life as safely and as efficiently as possible. Please note: Plans we are contracted with are subject to change. Please contact the office to find out if your specific product is in network. Please do not hesitate to contact our office to find out if your requested physician is contracted. Some insurance plans do require authorizations or referrals for a visit to a specialist. He performed his orthopedic surgery residency at the University of Manitoba where he was named Chief Resident. While there, his sports coverage included the Winnipeg Blue Bombers (CFL) and Manitoba Moose Hockey (IFL). He went on to complete a Sports Fellowship at the Rothman Institute in Philadelphia, PA. He worked under Dr. Michael Ciccotti, associate team doctor for the Philadelphia Eagles, Philadelphia Phillies, Philadelphia Soul, and St. Joseph’s University. He then completed a second Sports Fellowship at ASMI and the Andrews Institute under Dr. James Andrews, where he was an associate team doctor for the University of Auburn, the University of West Florida, and Escambia High School. Following fellowship, Dr. Varma went on to work as an orthopedic surgeon at the National Training Center Sports Medicine Institute in Clermont, FL. In 2011, Dr. Varma founded Florida Sports Injury and Orthopedic Institute, located in Clermont, FL, where he currently practices orthopedic surgery. He serves as the team physician for South Sumter High School, Wildwood High School, Leesburg High School, East Ridge High School, and South Lake High School. 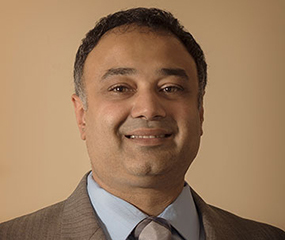 Dr. Varma is currently serving as the Chief of Surgery for South Lake Hospital. Dr. Varma is a member of the American Academy of Orthopedic Surgeons, the American Academy of Sports Medicine, and the Canadian Orthopedic Association. Brian Patterson, M.D., is a Sports Medicine Physician with specialized post-graduate training in Sports Medicine. Board Certified in Family Medicine and Board Certified in Physical Medicine and Rehabilitation with a Sub-specialty of Spinal Cord Injury Medicine. Brian Patterson, M.D. 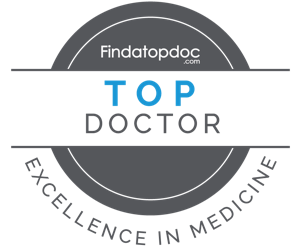 is a board certified family medicine physician with specialized post-graduate training in sports medicine. Dr. Patterson earned his bachelor’s degree in biology from The Citadel where he graduated on the Dean’s List and was captain of the varsity soccer team. He received his medical degree from the American University of the Caribbean School of Medicine. He completed his residency in family practice at Providence Hospital and Medical Centers. He went on to complete a post-grad fellowship in Physical Medicine and Rehabilitation with a sub-specialty in Spinal Cord Injury at Harvard Medical School. He worked as an urgent care physician in Massachusetts and Florida from 2003-2009. He worked as a primary care sports medicine physician for the National Training Center Sports Medicine Institute. He went on to work as an urgent care physician for Urgent Medical Care in Pompano, FL. 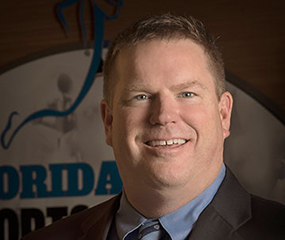 In 2013, Dr. Patterson joined Florida Sports Injury and Orthopedic Institute as a primary care sports medicine physician. He serves as the team physician for South Lake High School, South Sumter High School, Wildwood High School, Leesburg High School, and East Ridge High School. He was an editorial board member for Urgent Care: Official Journal of the AAUCM. He served as editor for Emergency Medicine: The Practice Journal for Emergency Physician. From 2008-2010, his focus was “Radiology Quiz” and started in 2011, he began work on “Challenges in Sports Medicine and Orthopedics”. Dr. Patterson is a member of The Royal College of Surgeons in Ireland. Sergio Martinez, D.O. is a board eligible orthopedic surgeon. 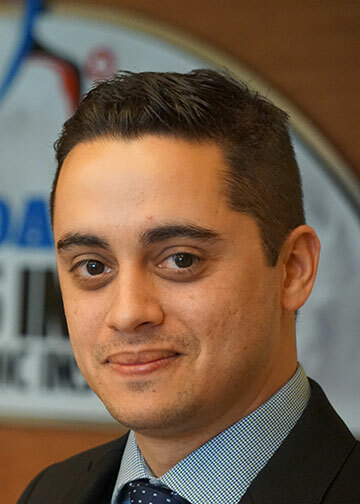 Dr. Martinez earned his bachelor’s degree in Psychology with a minor in Chemistry from the University of Miami, Coral Gables. He received a certificate in Biomedical Sciences from the Philadelphia College of Osteopathic Medicine and then received his Doctorate of Osteopathy from the same. He performed his internship and orthopedic surgery residency at Broward Health Medical Center in Fort Lauderdale, Florida. While there he received extensive experience in orthopedic trauma surgery, as it was a level-one trauma center. While in residency Dr. Martinez also had extensive training in the Anterior Approach Total Hip Replacement Surgery as well as Joint Replacement Revision Surgery. Following residency Dr. Martinez went on to work as a general orthopedic surgeon at Orthopedic Surgery of Polk County in Lake Wales, Florida. In June 2016 Dr. Martinez joined Florida Sports Injury and Orthopedic Institute as a general orthopedic surgeon. He specializes in trauma, and joint replacement surgery, including Total Joint Knee Replacement, and Anterior Approach Total Hip Replacement. Dr. Martinez has been a member of the American Osteopathic Association, and the American Osteopathic Academy of Orthopedics. William Athans, M.D. 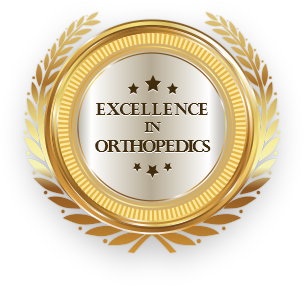 is a board certified orthopedic surgeon who is fellowship trained in sports medicine. Dr. Athans earned his bachelor’s degree in Microbiology and Bacteriology from the University of Florida. He received his medical degree from the University of South Florida College of Medicine. He performed his orthopedic surgery residency at Orlando Health where he was named Orthopedic Chief Resident. While there, he served as a team physician for Lake Howell High School. He went on to complete a Sports Medicine Fellowship at the Doctors Hospital Center for Orthopedics and Sports Medicine. He served as the team physician for Westminster Christian High School football and Ransom Everglades High School football. While in Miami, Dr. Athans was also as an assistant team doctor for the Miami Heat. Dr. Athans also serves as an assistant doctor for post career NFL orthopedic disability physicals. 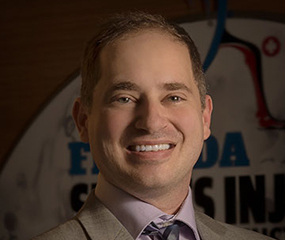 In 2014, Dr. Athans joined Florida Sports Injury and Orthopedic institute as an orthopedic surgeon. He serves as the team physician for South Sumter High School, Wildwood High School, Leesburg High School, East Ridge High School, and South Lake High School. Dr. Athans is a member of the American Academy of Orthopedic Surgery, the American Orthopedic Society for Sports Medicine, and the Florida Orthopedic Society.